Numbers are our passion, but we know they probably aren't yours. 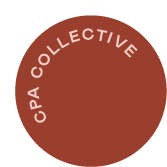 At CPA Collective, we strive to make visiting your accountant a meeting you look forward to. We like to think of ourselves as an extension of your team. We want to collaborate with you to come up with sound tax and financial solutions to meet your specific needs and empower you to understand the strategies we implement. You'll find that we're not like the other guys. We provide the same top notch services but with a unique approach that our clients love.